The so-called ‘cassette’ EV powertrain has been developed using all the learnings and components from the Rapide E project. 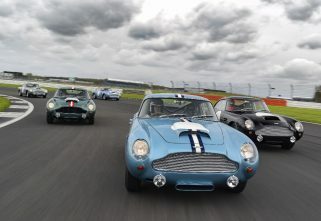 Aston Martin will put it into production to “mitigate any future legislation to restrict the use of classic cars”. Can’t say that I am not thrilled with this approach taken by the Brits. The first car to feature the electric powertrain is a 1970 DB6 Mk2 Volante which was originally handbuilt in the same Newport Pagnell factory where Aston Martin Works operates from. The EV cassette is enclosed in a self-contained cell and mounted on the original engine and gearbox mountings. A screen fitted “discreetly” into the cabin helps with the power management of the unit. Conversion of the classic cars of customers will be carried out at the Works facility, and is expected to commence in 2019, quite ahead of the similarly conceived Jaguar E-Type Zero. 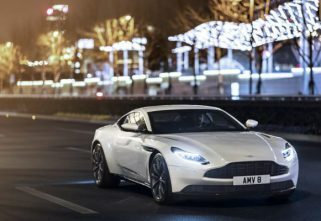 Aston Martin has not yet divulged Power output and range details.